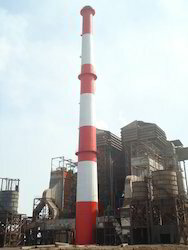 Our organization specializes in providing services for Chimney Painting for more than 100 meter height. These services are carried out with the help of our trained and skilled painters. The paint we use for painting is formulated with the use of silicone resins pigmented flakes. The painting done by us can withstand adverse weather conditions and will not fade for long years. 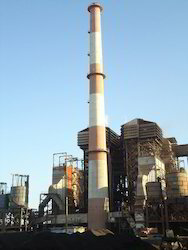 We are offering our clients with Fireproof Coating services that are suitable for all kinds of industrial chimneys. These services facilitate in making the chimneys durable to resistant to fire. Furthermore, carried out with the use of latest equipment and premium grade chemicals, our fireproof coating services are executed with the help of experienced engineers. Our clients can avail from us a wide range of Chimney Painting Equipment. These equipment are manufactured with the use of premium grade MS material sourced from trusted market vendors. The products supplied by us are useful for painting the high rise chimneys. Looking for Painting and Coating Contractor ?